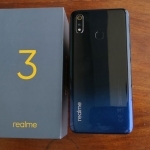 Home › Reviews › Realme 3 Review: A Budget Gamer & Photographer’s Dream Phone! 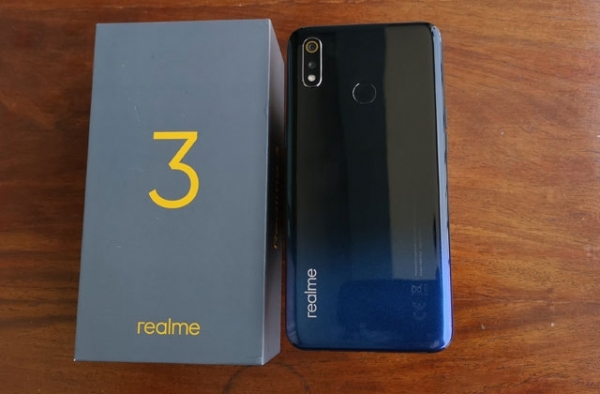 Let's review the Realme 3 smartphone! 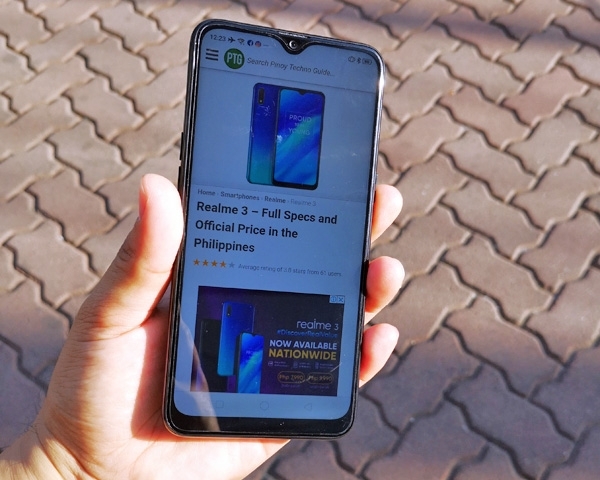 The Realme 3 has some of the best specs for an entry level smartphone in the Philippines this year. 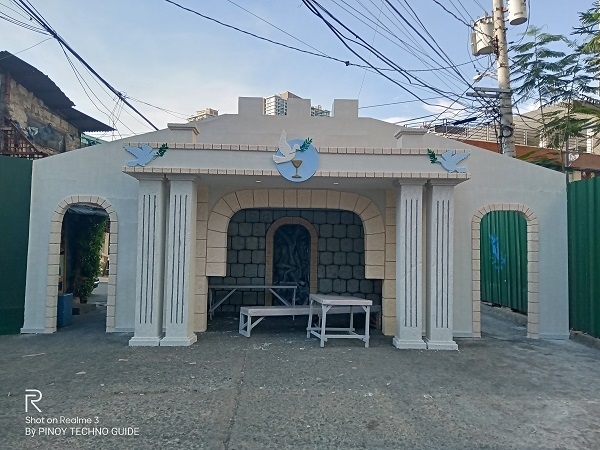 What’s even more surprising is its starting price of ₱6,990 only! 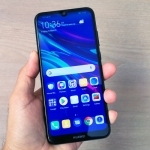 Does it have a big, secret disadvantage or does it simply want to offer a great smartphone for Filipinos? 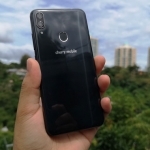 That’s what I want to find out in my full review of the Realme 3. 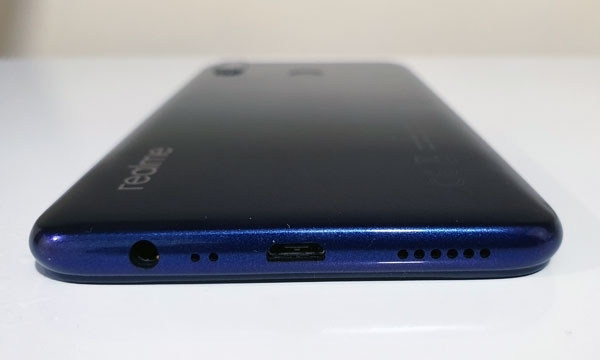 Bottom view of the Realme 3. Let’s start with the design of the Realme 3. It has a uni-body design which means the back and sides are made up of one single seamless piece of glossy plastic. Its edges are slightly curved making it more comfortable to hold. However, it easily collects fingerprint marks and smudges. I got the dynamic black color which is a gradient from black to dark blue with a subtle glitter effect. This color scheme, together with some details such as the golden rings around the rear camera, makes the device look cool. The power button is on the phone’s right side while the volume buttons and SIM card tray are on the left. Its loudspeaker, microphone, micro-USB port and audio jack are all at the bottom. The phone’s design is in tune with the current trends in more premium smartphones. This is how the Realme 3’s display looks like outdoors. The Realme 3 has a 6.2-inch HD+ display with a small dewdrop notch and an aspect ratio of 19:9. That means it’s tall but still manageable with one hand. 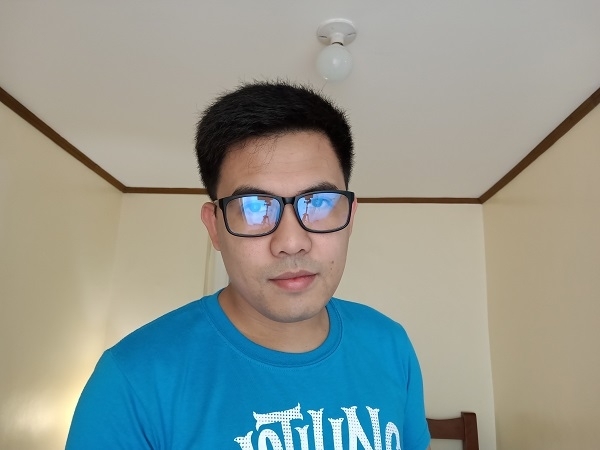 Those who have used a smartphone with a higher screen resolution before will notice the non-FHD resolution but it has decent color accuracy and responsiveness. A screen protector is already pre-applied on the phone’s display out of the box. I also noticed that the screen doesn’t really go too bight. It’s alright with me since bright screens hurt my eyes. However, some people who prefer brighter displays might find it a bit underwhelming especially outdoors during a bright, sunny day. Nevertheless, the screen’s brightness is more than sufficient when used indoors such as when playing online games overnight. 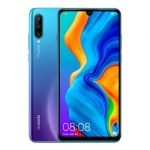 Let’s go ahead and discuss the gaming performance of the Realme 3 because a lot of people will buy the phone for this sole purpose. 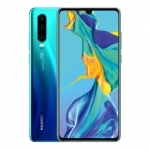 It’s powered by the MediaTek Helio P60 chipset with a 2.0GHz octa-core CPU, Mali-G72 GPU and either 3GB or 4GB of RAM. 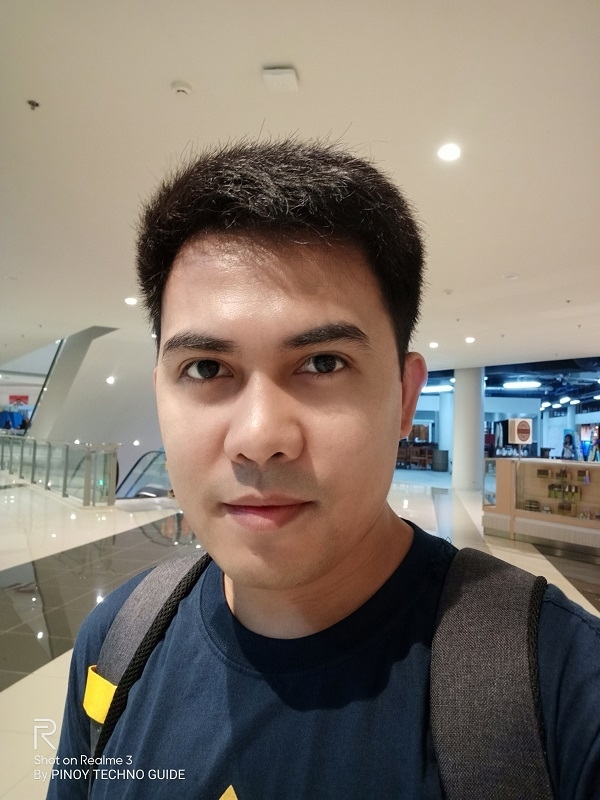 I played Mobile Legends: Bang Bang on the Realme 3 with the graphics quality set to High. The resulting framerate is 58 frames per second while the temperature after one “Rank” game is 39°C. 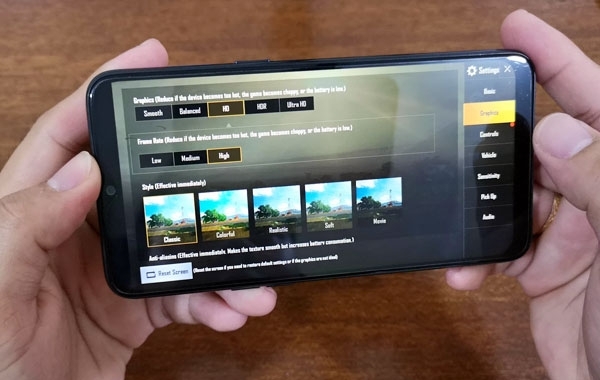 I also played PUBG Mobile and it supports up to HD graphics and “High” framerate. Based on the measurement by GameBench, the game ran at 30 frames per second while the temperature rose slightly to 42°C. The Realme 3 has an impressive gaming performance for its price! You’ll have a hard time finding a similarly-priced device that can run these resource intensive games smoothly. 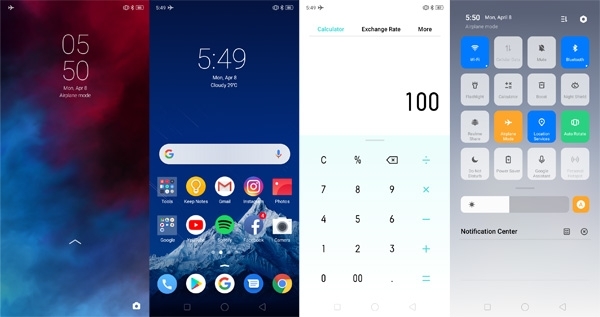 Screenshots of the Realme 3’s user interface. The Realme 3 comes with the new Color OS 6.0 software which runs on top of Android 9.0 Pie. It has a simplistic design language with a lot of white space. This makes the overall user interface look neat and uncluttered. Color OS 6.0 also solves one of the biggest issue in its previous versions – the lack of an app drawer. It can be accessed by swiping from the bottom of the display. Browsing through the different apps, settings and mobile websites is lag-free. It’s as smooth as other smartphones twice its price. A few stutters occur in some situations such as when receiving a flood of notifications or browsing through several GIFs. The 4GB RAM version also fares better when opening a lot of apps one after another. Camera UI of the Realme 3. One of the best features of the Realme 3 is its “Nightscape” camera mode. It’s a special way of shooting pictures where the phone takes several pictures of the same scene then stacking them with the aid of AI to produce a single but brighter image. 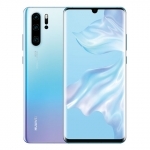 This is something that has only been available in more expensive smartphones such as the Huawei P30, OPPO F11 Pro and Huawei P30 Pro. 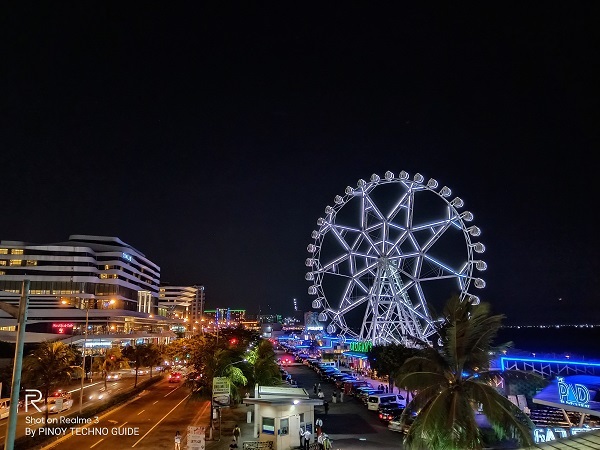 The “MOA Eye” captured by the Realme 3 using Nightscape mode. 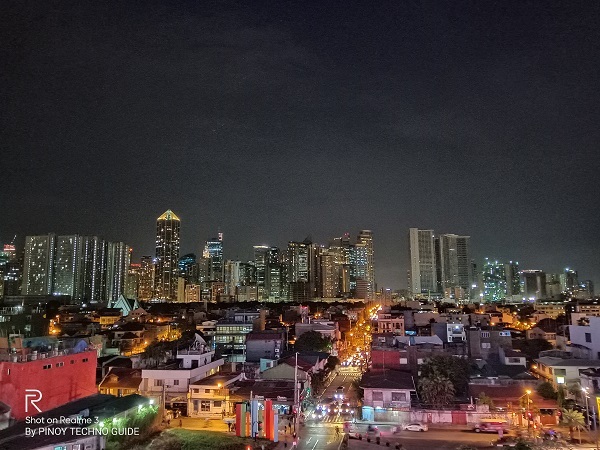 Buildings at night captured by the Realme 3 using Nightscape mode. 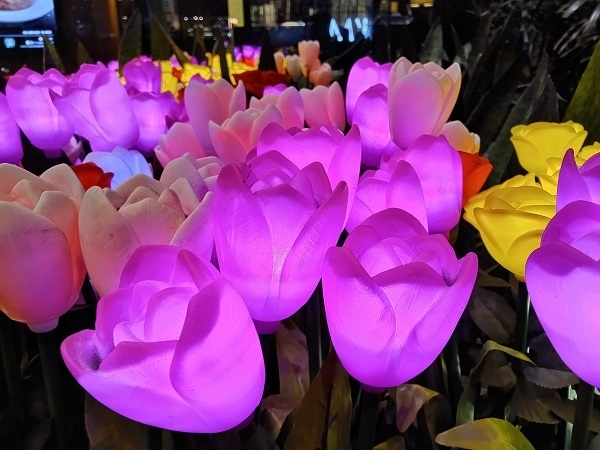 LED Flowers captured by the Realme 3 using Nightscape mode. As you can see, these pictures are incredible coming from a very affordable smartphone! It can make a surreal photo of a city skyline, colorful night lights and even normal night time scenes. There’s a bit of trade-off though. The phone’s Nightscape Mode requires the user to hold the phone steady for 3 seconds and an additional 2 seconds to process the final image. When shooting using the regular “Photo” mode, the 13 Megapixel rear camera can still deliver good pictures. Colors are accurate and dynamic range is decent with plenty of sharp details. Realme 3 sample picture in normal mode. 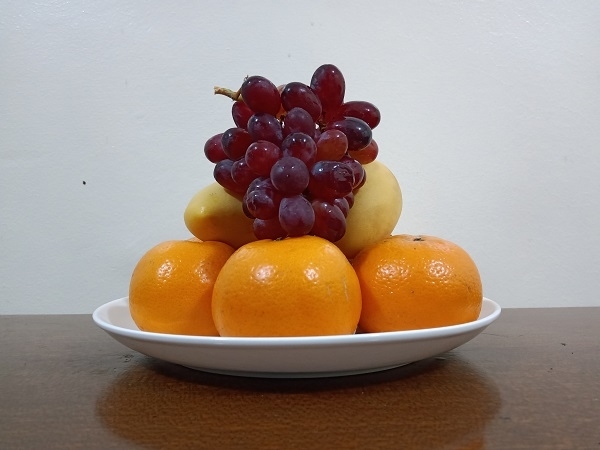 Another sample picture from the Realme 3 without using a special shooting mode. It’s very easy to take good-looking pictures with the Realme 3. 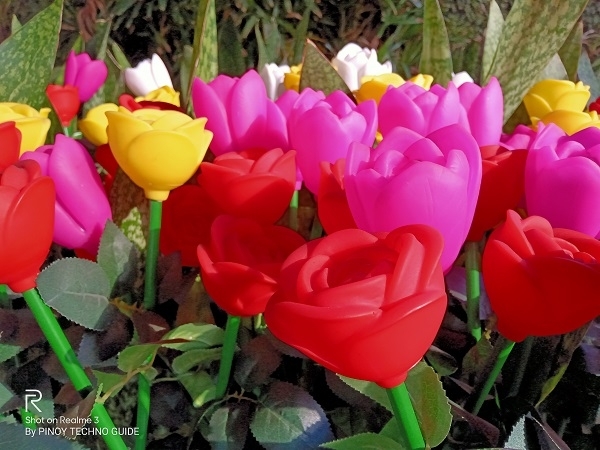 The LED flowers featured above in daylight shot with the Realme 3’s Chroma Boost effect. It can also take good Portait pictures with the aid of its 2 Megapixel depth sensor to produce a nice blurry background. Edge detection is a hit or miss though especially if the subject has long hair. On the notch of the Realme 3’s display is its 13 Megapixel selfie camera. It can produce good selfies with sharp details and balanced skin tone. There’s also an AI-driven beautification feature that works well. It automatically enhances selfies while keeping them looking natural. Even selfies taken in low light can be good enough although they are not as sharp. Portrait mode is available too but the results are not of the same quality as those from the rear cameras. 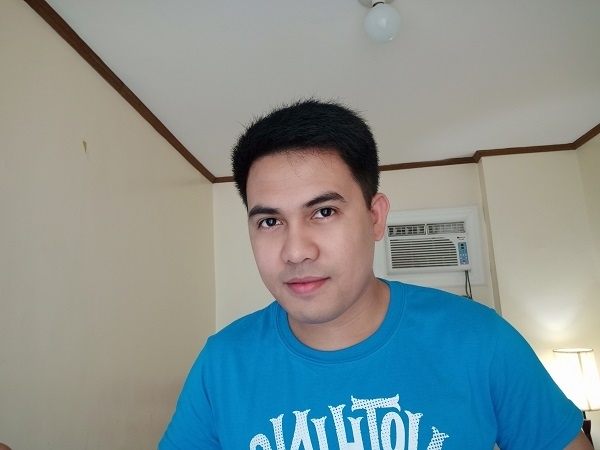 Sample selfie using the Realme 3. Selfie in a slightly low-light environment. 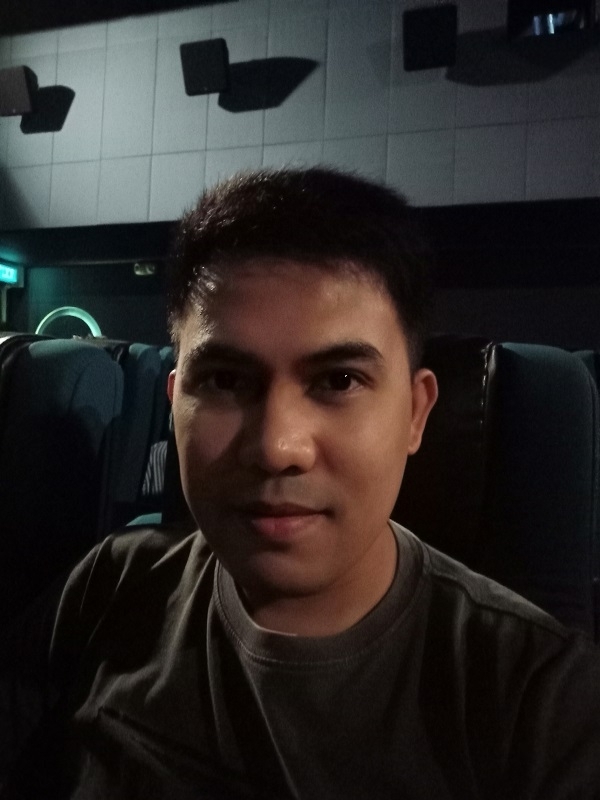 Sample selfie with the Realme 3 inside a cinema. 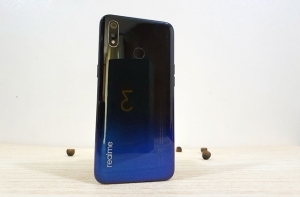 The Realme 3 is a dual SIM smartphone with dedicated card slots for the two SIM cards and a separate slot for the micro-SD card. 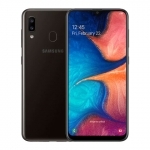 It can easily connect to Wi-Fi networks as well as 4G LTE cellular networks for mobile data. I’ve even used it as a Wi-Fi hotspot for the other smartphones that I’m reviewing. There are no free earphones inside the package though. 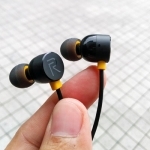 I’ve already reviewed the Realme Buds which are in-ear earphones from the same brand and those sound great for an affordable price. The phone’s loudspeaker has an average loudness but it sounds tinny. It might have been one of the features that the company skimped on to provide a better performance and camera. 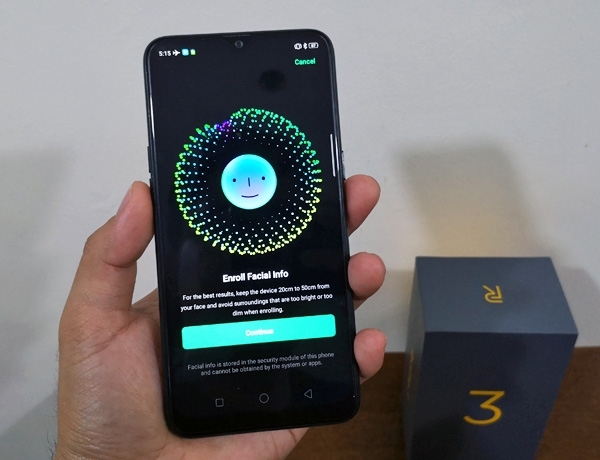 Enrolling the user’s face on the Realme 3. 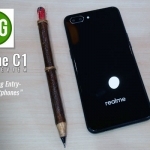 There are two “biometric” security options for the Realme 3 – fingerprint and face recognition. 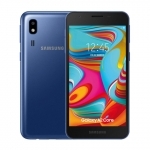 Its fingerprint sensor is located at the back and is both fast and accurate. Meanwhile, its face recognition feature uses the front camera to distinguish the user’s face. It has about the same accuracy as the fingerprint sensor but the latter is just a bit faster. The Realme 3 is also one of the most affordable smartphones that come with a gyroscope. This is an essential hardware for AR games and apps such as Pokemon Go. 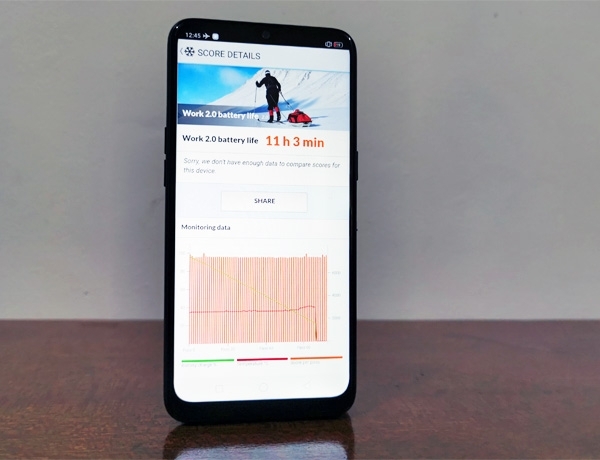 Realme 3 battery life test. Battery life is another aspect where the Realme 3 does very well. It has a large 4230mAh battery that lasts up to almost two days of mixed usage! I got a screen on time of 11 hours and a similar PCMark Battery Life Test 2.0 score. Meanwhile, recharging the Realme 3 from 0% to 100% battery capacity requires about 3 hours using its original 5V/2A charger. This is understandable since the phone’s battery is huge. 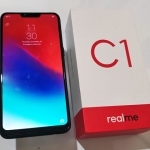 Realme has already impressed me with the Realme C1 and now, the Realme 3 does it again with more impressive features at a very affordable price. It’s a budget gamer and photographer’s dream smartphone! 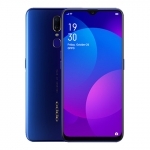 I highly recommend the Realme 3 as a budget gaming smartphone! It also has a long lasting battery and capable cameras especially its Nightscape mode. The only feature that I found as subpar is its loudspeaker. That’s a worthy trade-off for a smartphone of this caliber.